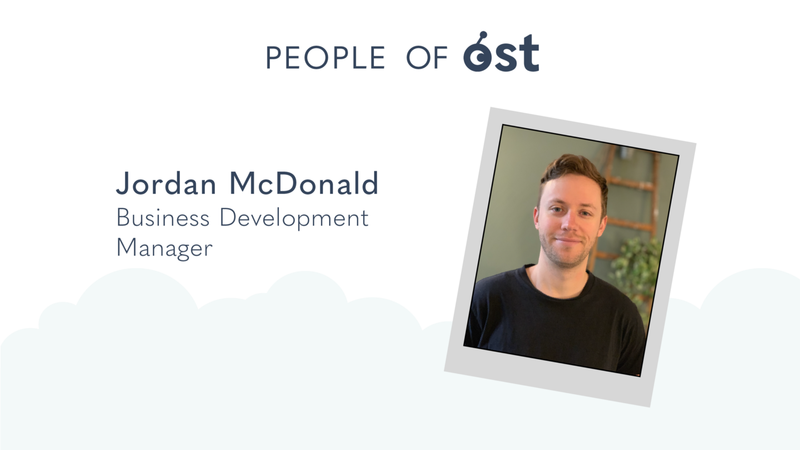 Jordan McDonald brings extensive business development experience to OST, where he works with companies in Europe to help them explore new ways to drive growth and engagement through tokenization. I’m originally from San Jose, California. I studied economics at California Polytechnic State University-San Luis Obispo. I then worked in sales at LinkedIn in Silicon Valley. After working in San Francisco for about four years, I thought about working in a completely new place. I liked Berlin because it has a thriving startup community, so I booked a one-way plane ticket. I’ve been living in Berlin for a few years now. The transition was tough at first because I showed up without a plan. After I started learning the language, getting my visa sorted out, and getting into the startup community, I eventually got settled. I previously worked in advertising and SaaS sales here in Berlin. I joined the OST team in March 2018 as a Business Development Manager. What piqued your interest about blockchain technology? I first heard about Bitcoin when I was living in San Francisco. I didn’t think much of it at the time. I didn’t really understand the technology and I thought it was a speculative concept. When I was in Berlin, I heard about Siacoin, which is a decentralized blockchain-based storage solution. That’s when I had a lightbulb moment about what blockchain technology is and how it might impact the world. I started reading more about it and getting in touch with the local blockchain community. That’s where my involvement in blockchain began. What does your role as Business Development Manager at OST entail? OST provides solutions for mainstream businesses with digital communities that want to adopt blockchain technology. I spend a lot of my time talking to companies about how branded tokens can impact their business. Sometimes this includes enhancing growth metrics and community engagement. For example, I recently spoke with a Berlin-based gaming company about why blockchain tokens can benefit gamers as opposed to the in-game currencies that are already in use. We got into a discussion about the differences between the two types of currencies and how the community would react to the increased options they have when they earn a token for completing milestones in games. What are some exciting projects that you have worked on at OST? Tokenization seems to be really front-of-mind for a lot of big brands and it’s exciting to get into the details of how branded tokens can work in practice for businesses. The most interesting thing for me is enhancing customer loyalty with tokenization. I believe loyalty programs stand to gain a lot from blockchain technology and OST can help businesses become more customer-focused and deliver value directly to customers. This allows customers to decide what to do with the value they receive — they’re in control. I also find it exciting to work with online gaming companies because they’re already using virtual currencies. For them, we expand beyond the limitations of traditional tokens. I consider myself a huge foodie, and I love to check out new restaurants in Berlin. The last good restaurant I went to was Mrs Robinson’s in Prenzlauer Berg. The food was outstanding and it was a great experience. I also like exercising and traveling around Europe. I built a bicycle this year, too — it was a unique experience to do something different. Be sure to check out last week’s interview with Francesco Pacella, OST’s VP of Product. Subscribe to our YouTube channel or listen to the audio format on anywhere you listen to podcasts, including on iTunes, Stitcher, and Spotify. We’re also now available on Alexa! Simply add “OST LIVE” to your flash briefing. OST blockchain infrastructure empowers new economies for mainstream businesses and emerging DApps. OST leads development of the OpenST Protocol, a framework for tokenizing businesses. In September 2018 OST introduced the OpenST Mosaic Protocol for running meta-blockchains to scale Ethereum applications to billions of users. OST KIT is a full-stack suite of developer tools, APIs and SDKs for managing blockchain economies. OST partners reach more than 300 million end-users. OST has offices in Berlin, New York, Hong Kong, and Pune. OST is backed by leading institutional equity investors including Tencent, Greycroft, Vectr Ventures, and 500 Startups.